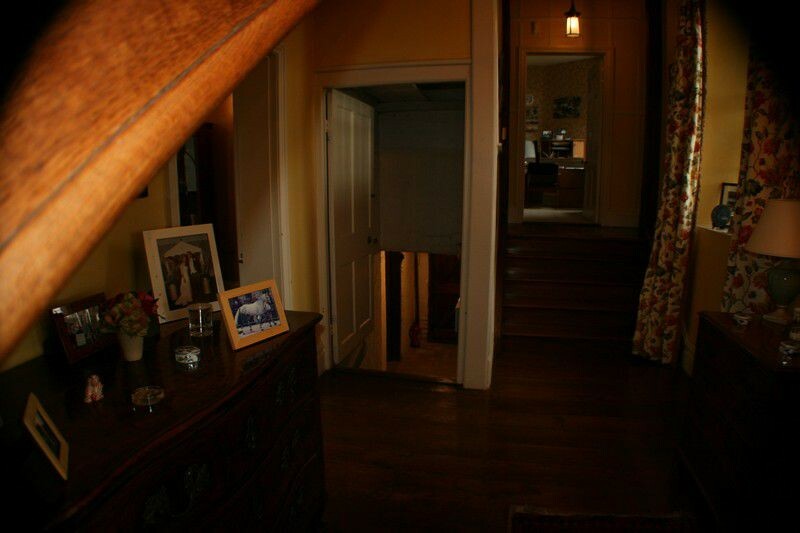 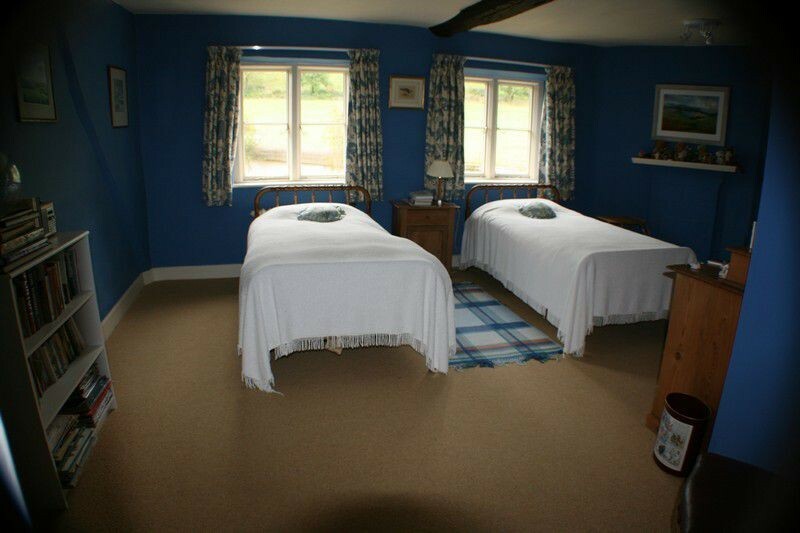 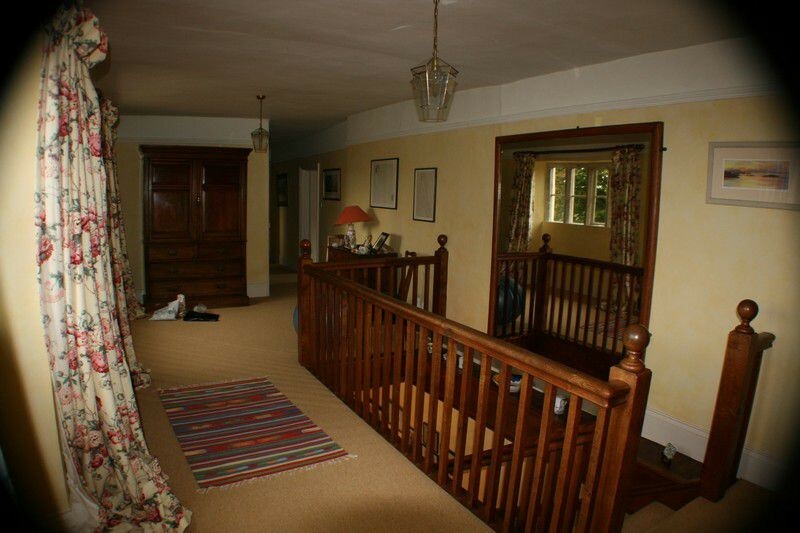 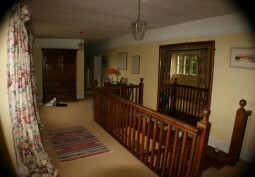 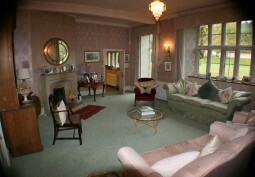 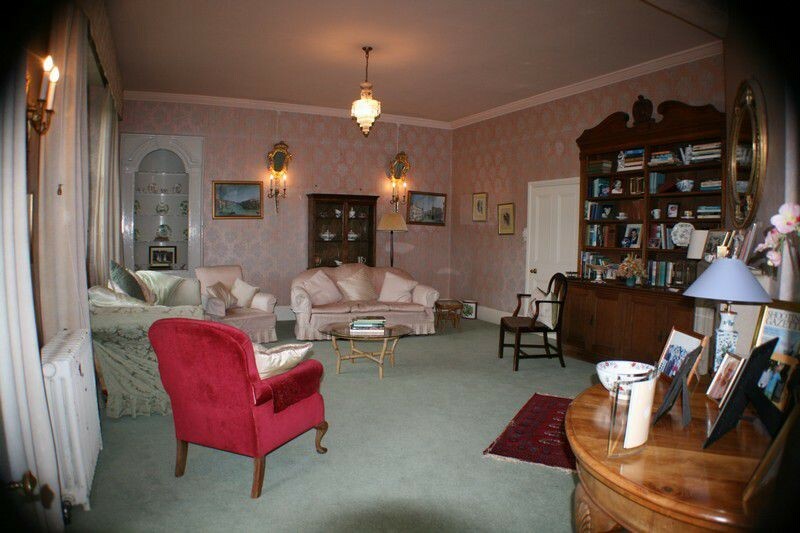 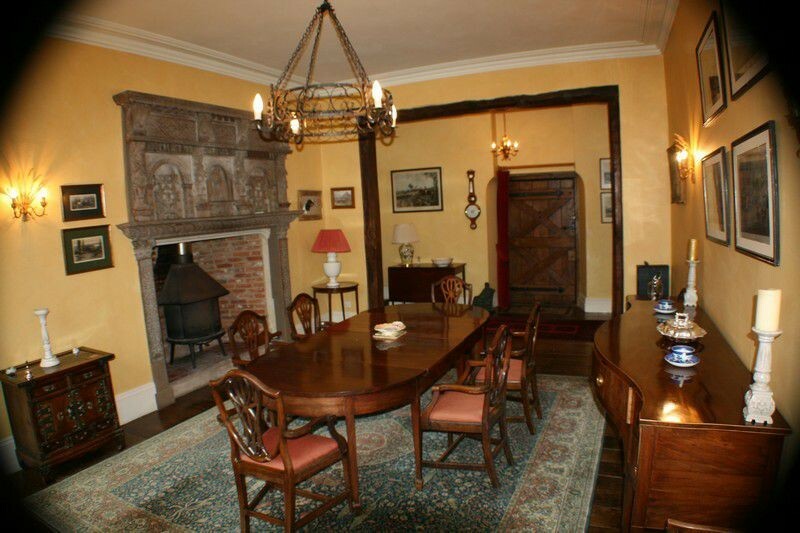 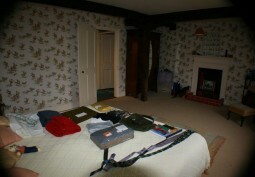 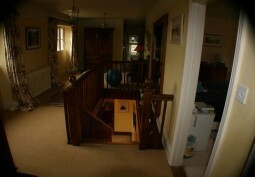 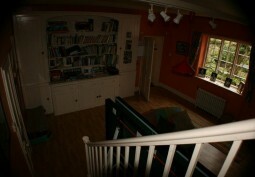 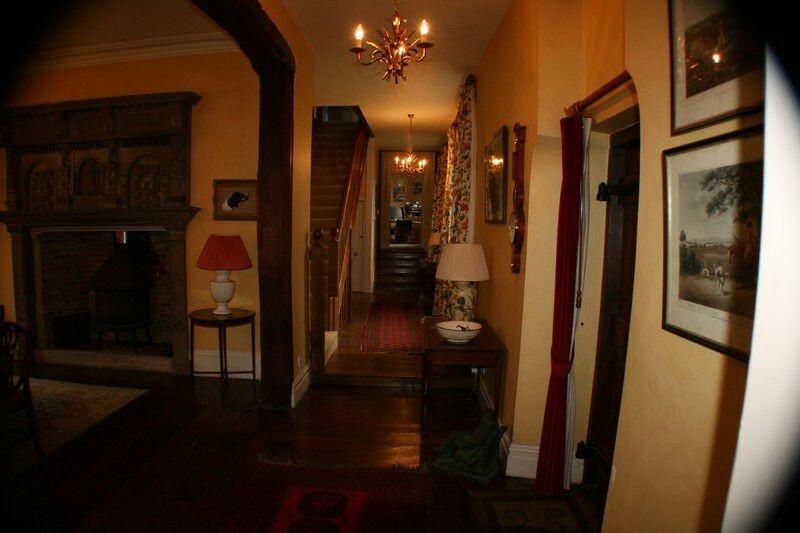 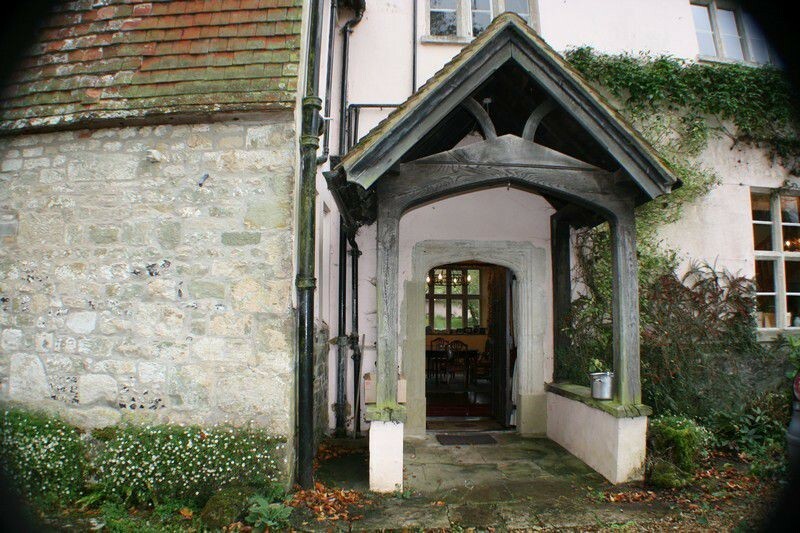 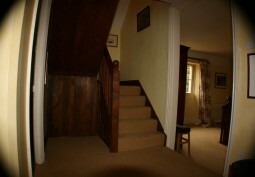 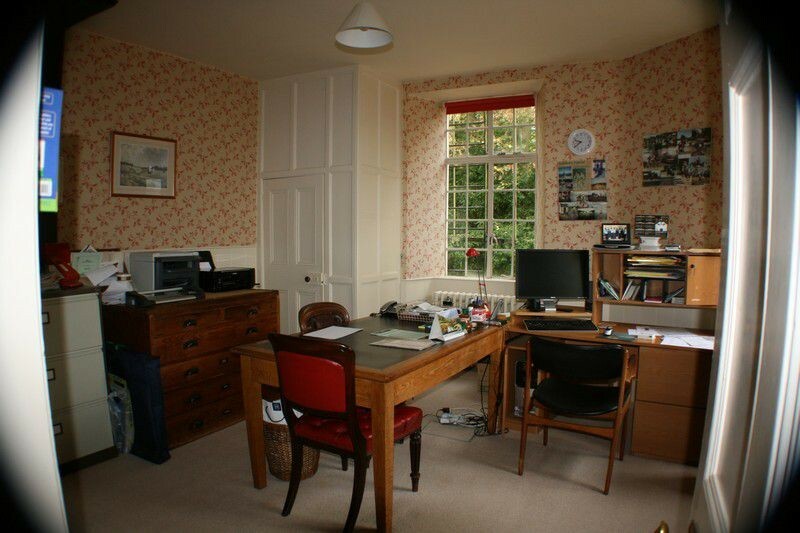 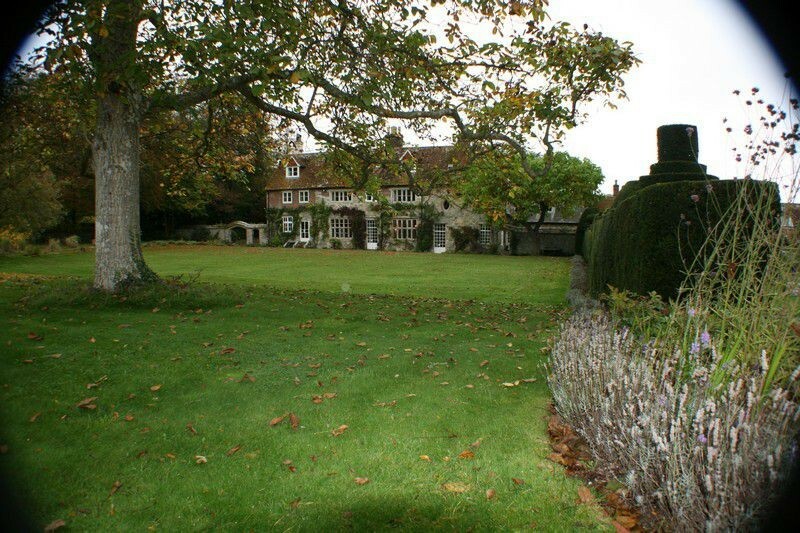 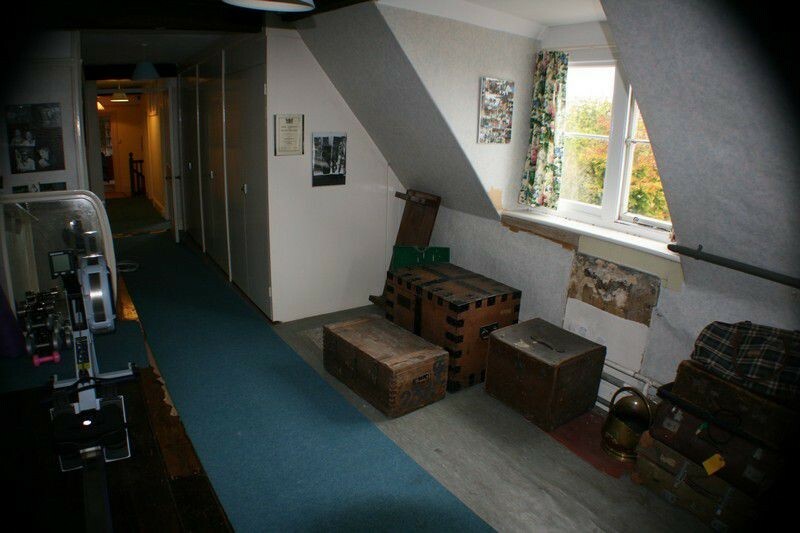 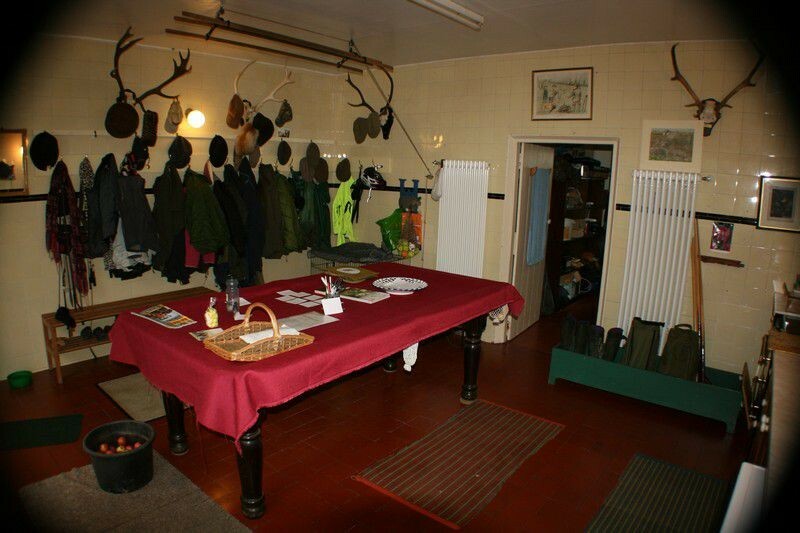 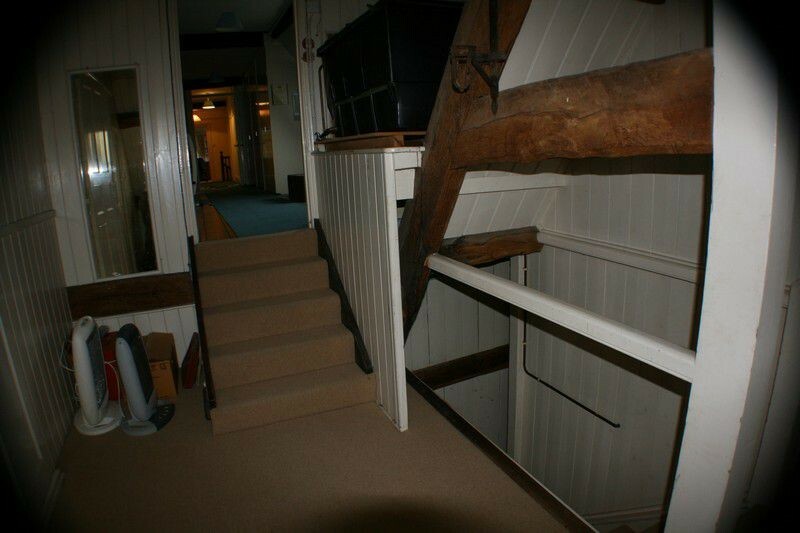 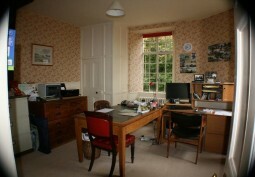 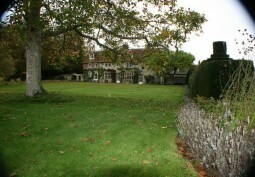 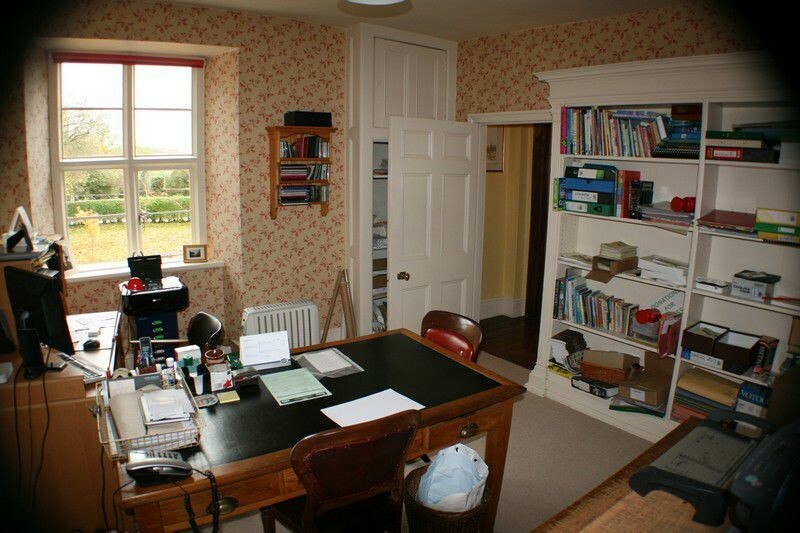 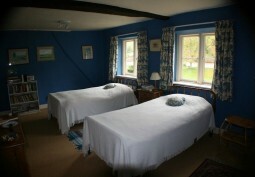 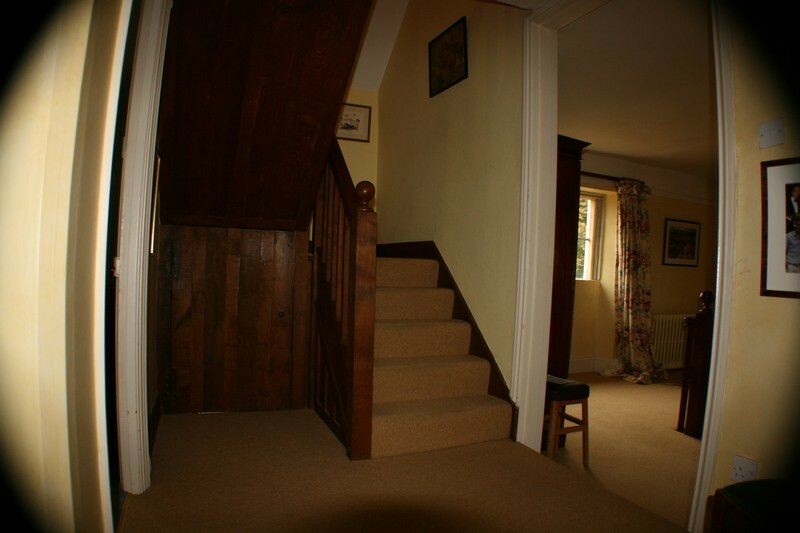 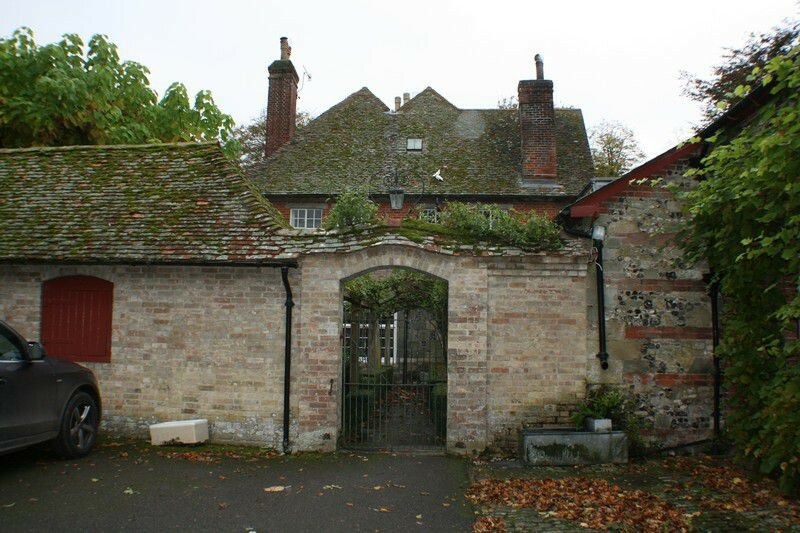 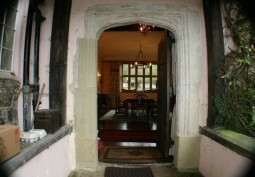 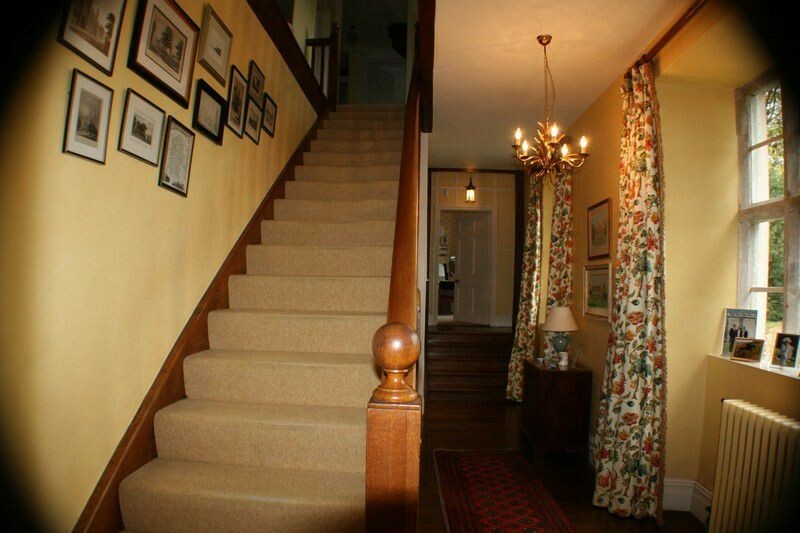 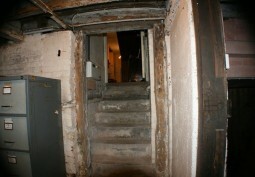 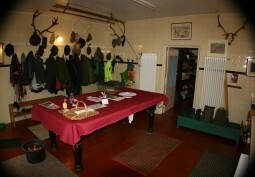 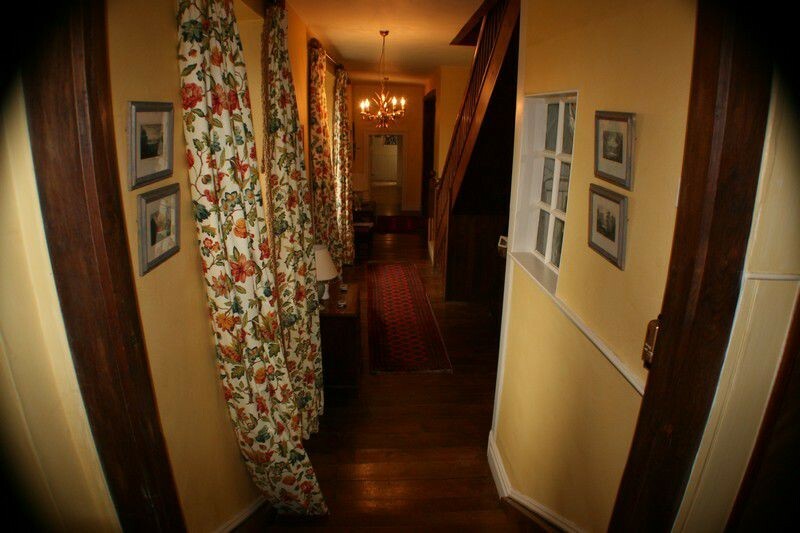 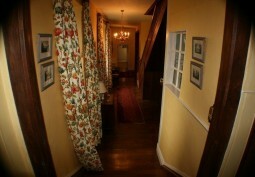 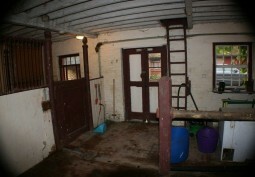 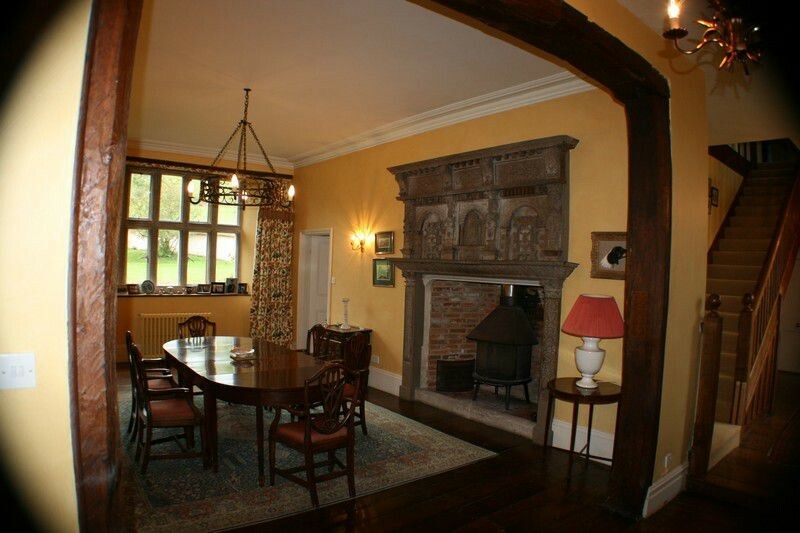 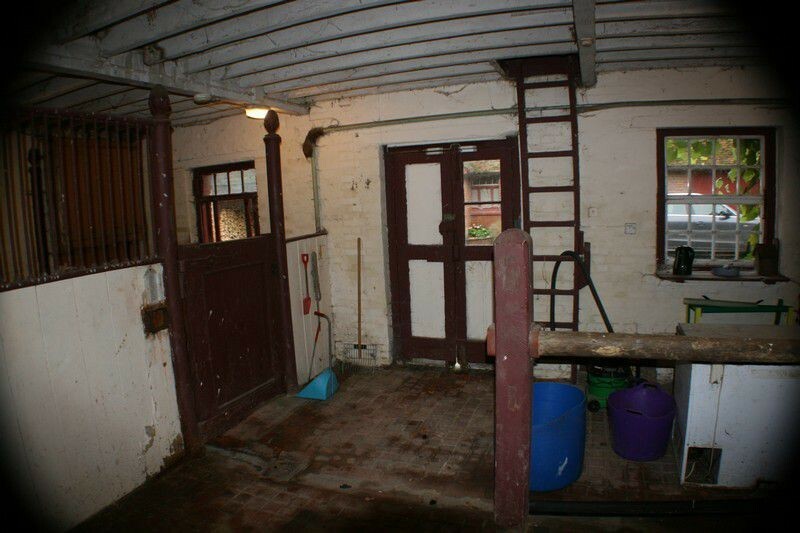 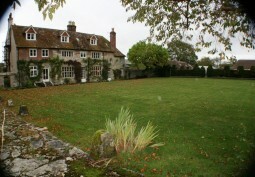 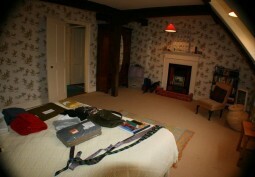 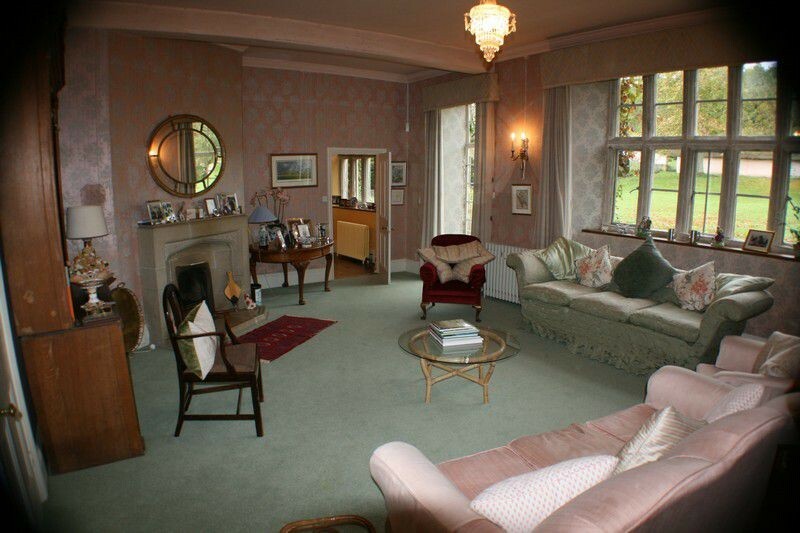 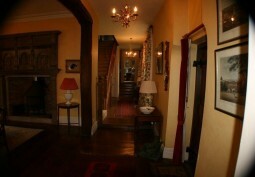 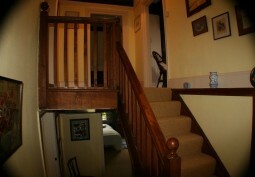 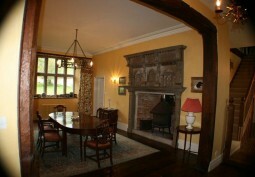 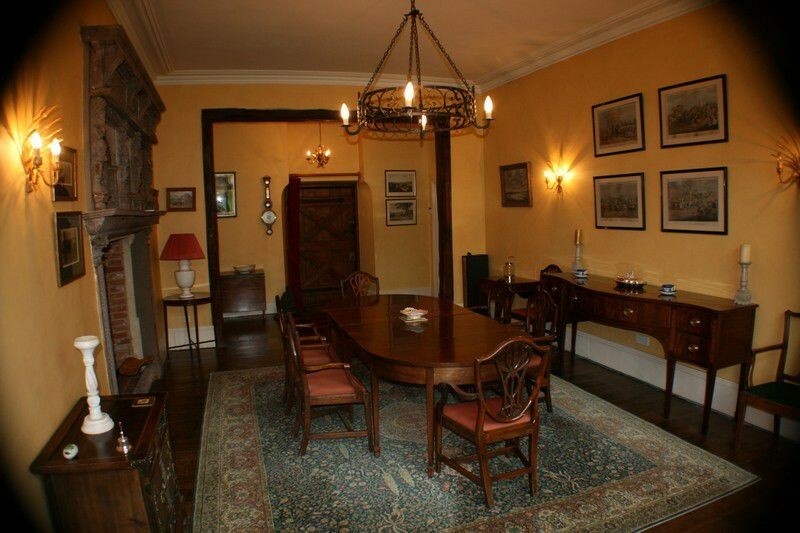 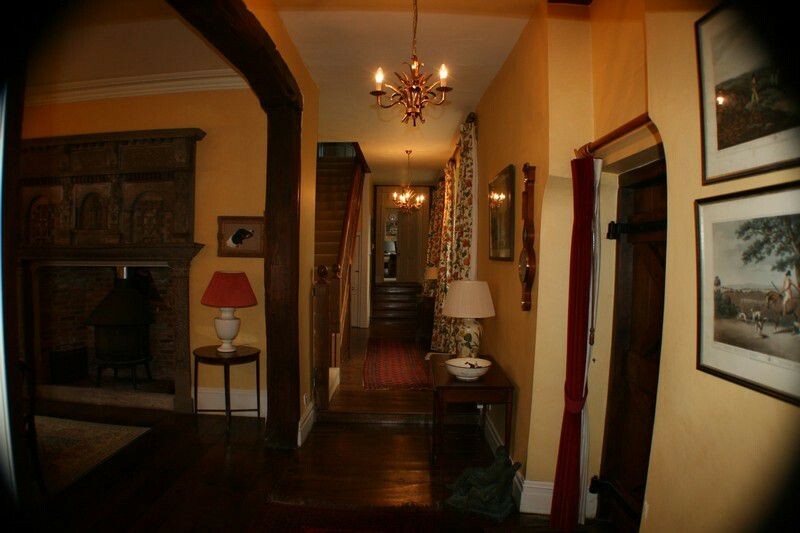 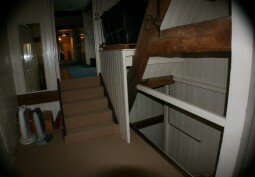 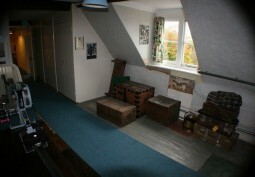 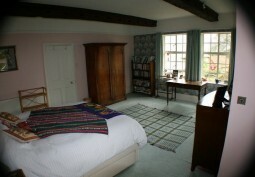 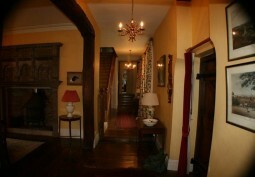 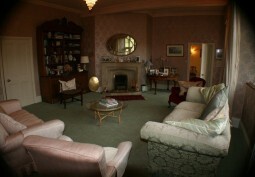 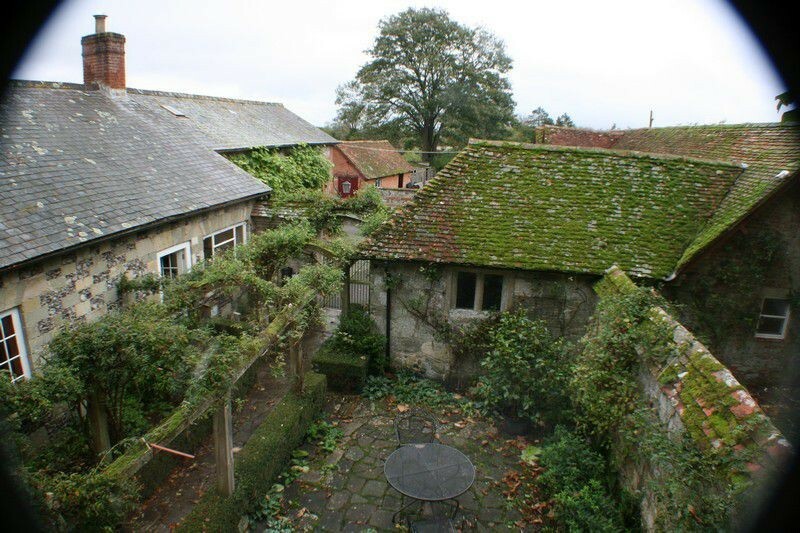 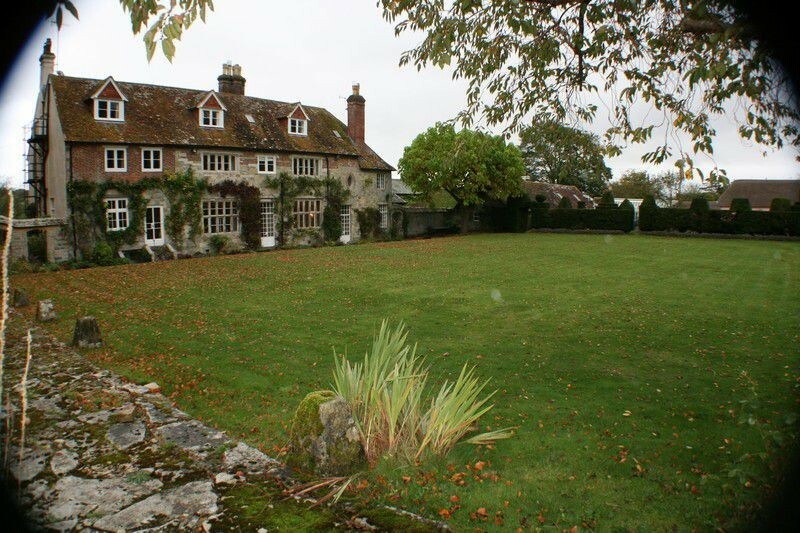 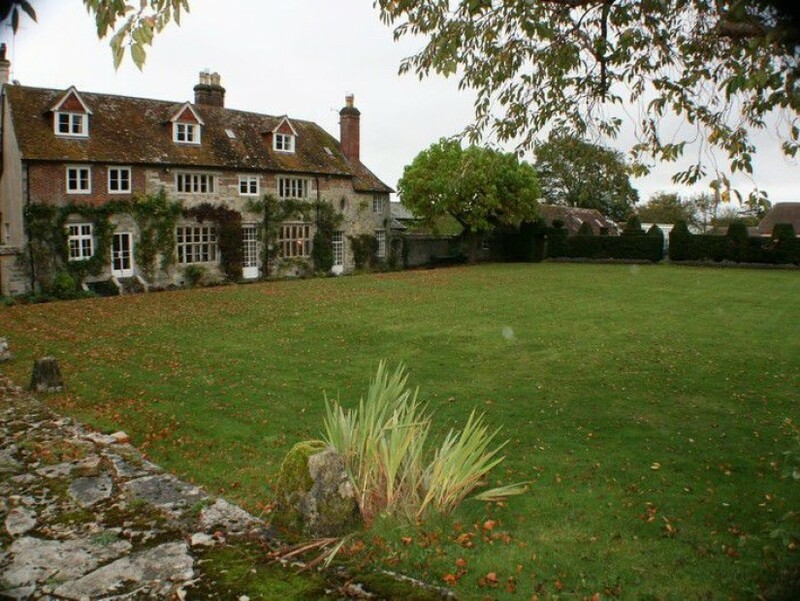 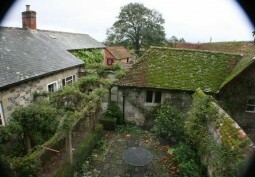 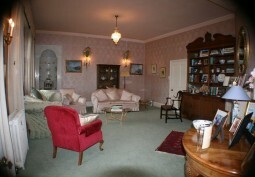 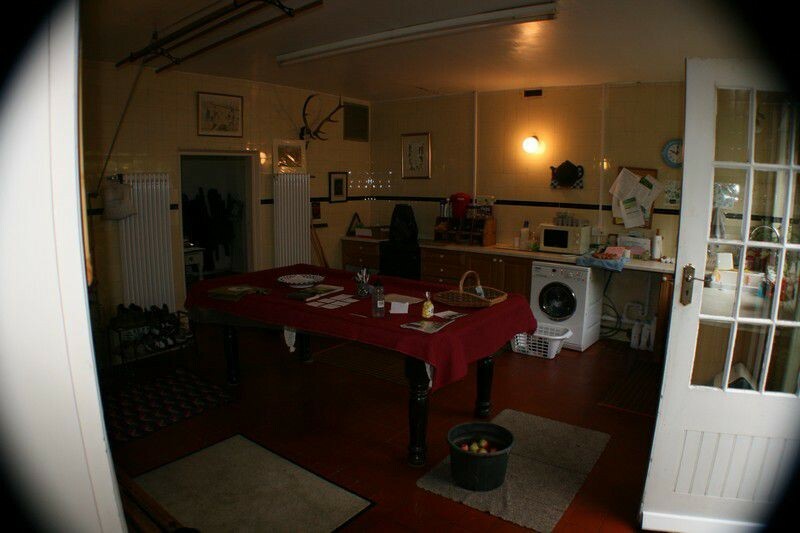 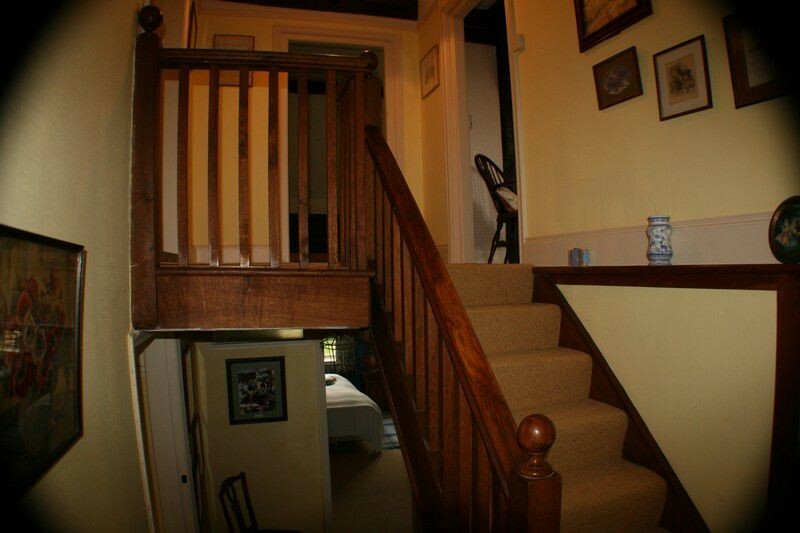 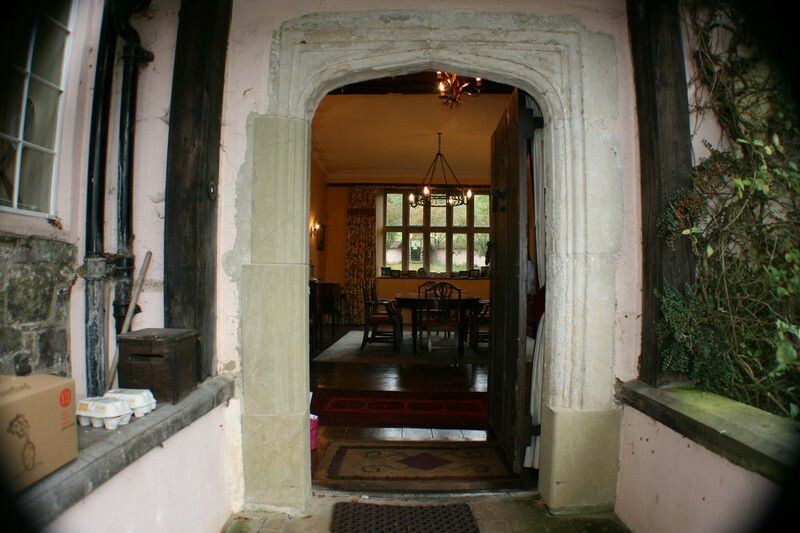 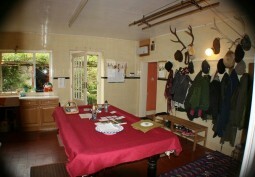 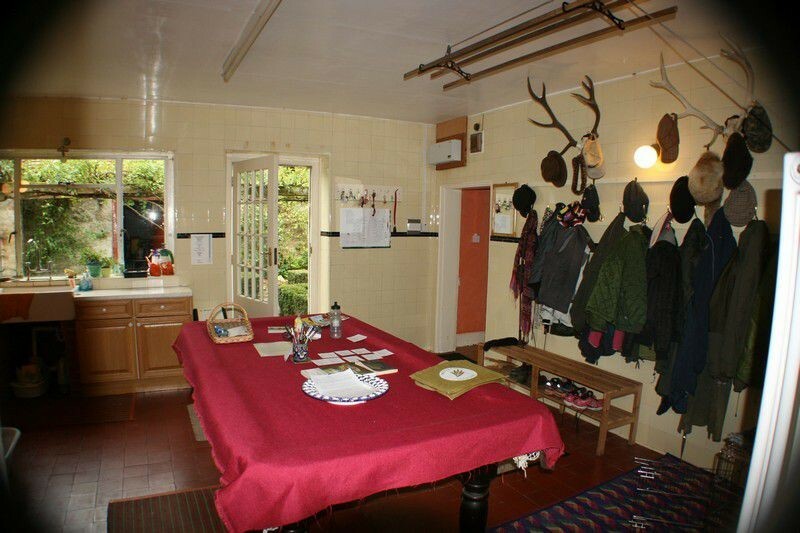 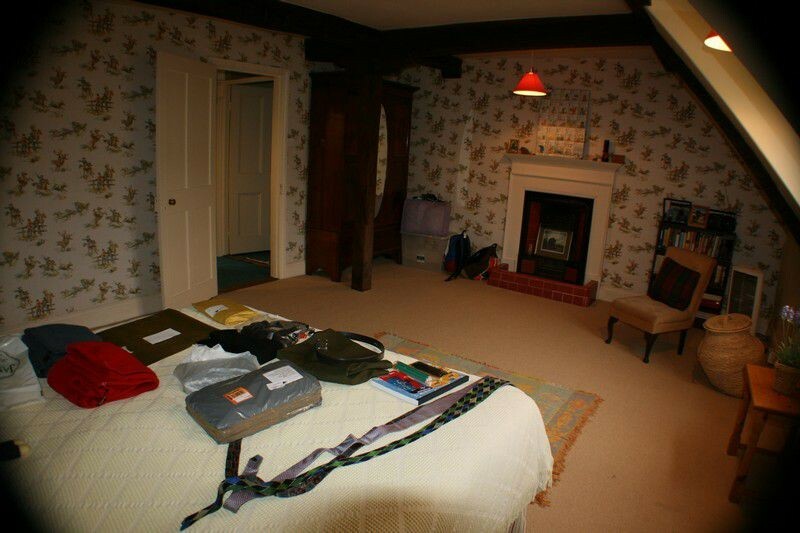 English Manor House with many original features available to hire for filming and photo shoots. 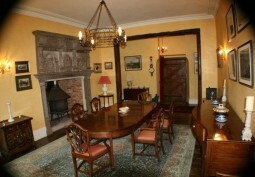 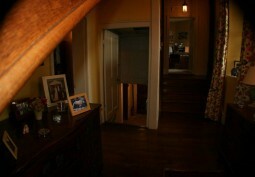 -dinning room with yellow wallpaper, wooden floor with a large rug, period wood furniture and a large period fire place. 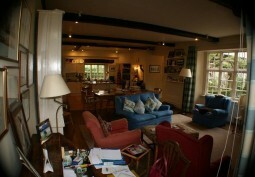 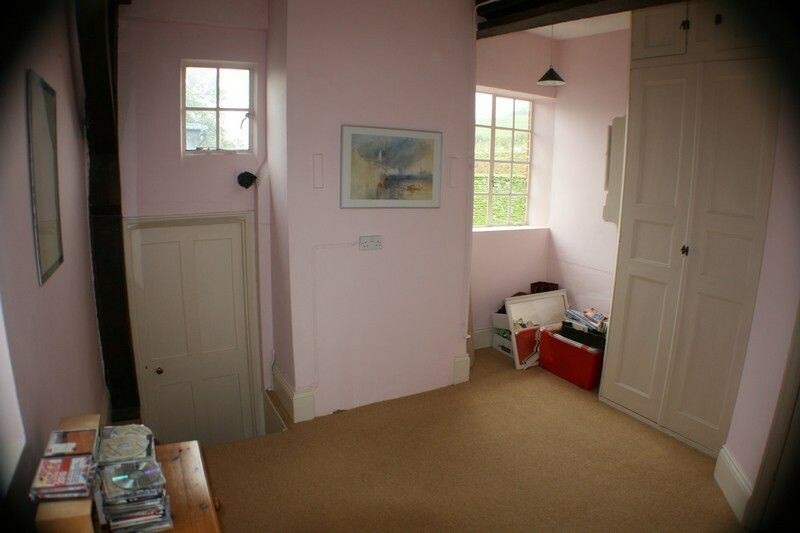 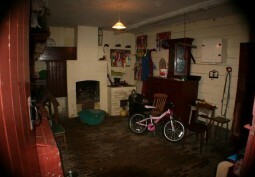 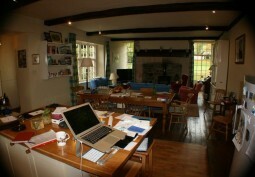 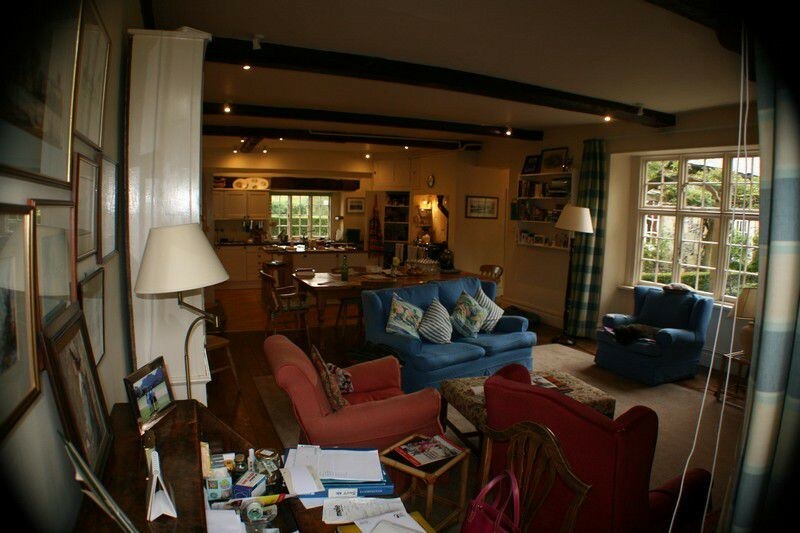 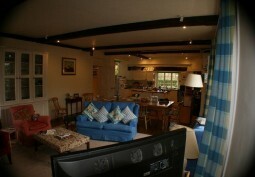 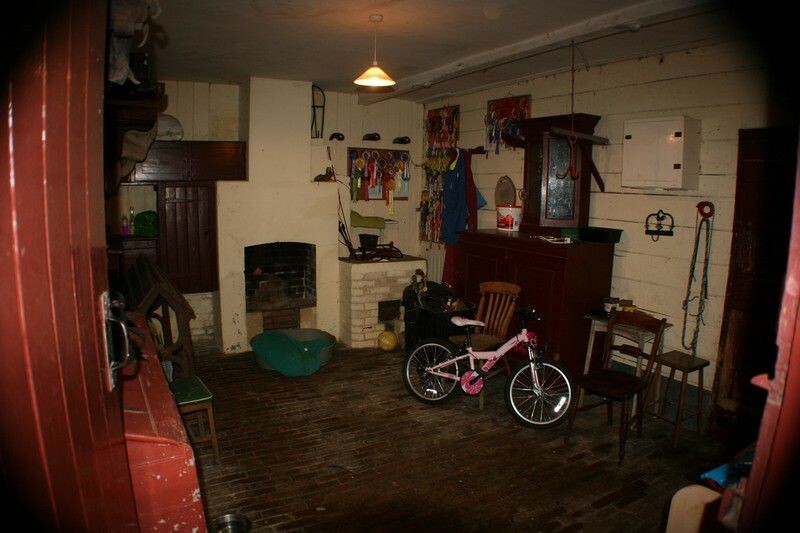 -open plan kitchen with a large table and chairs, blue sofa and period fire place. 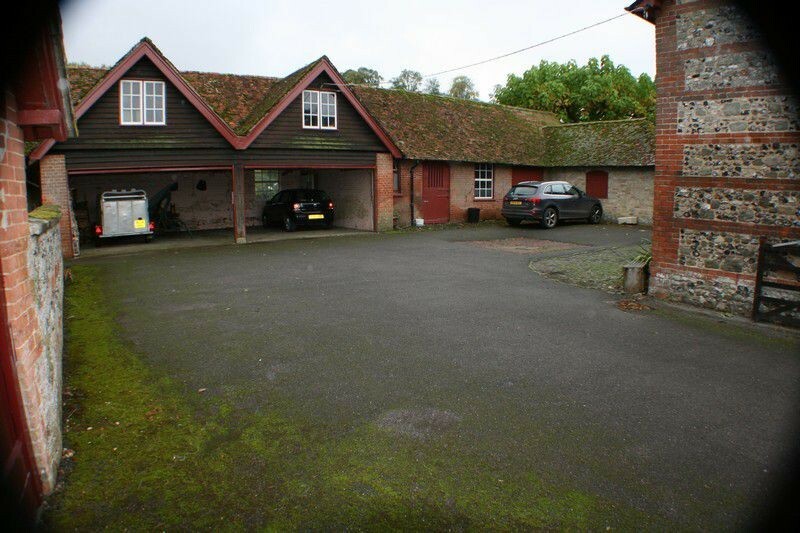 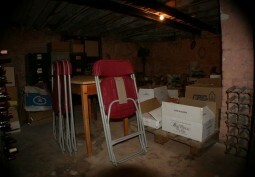 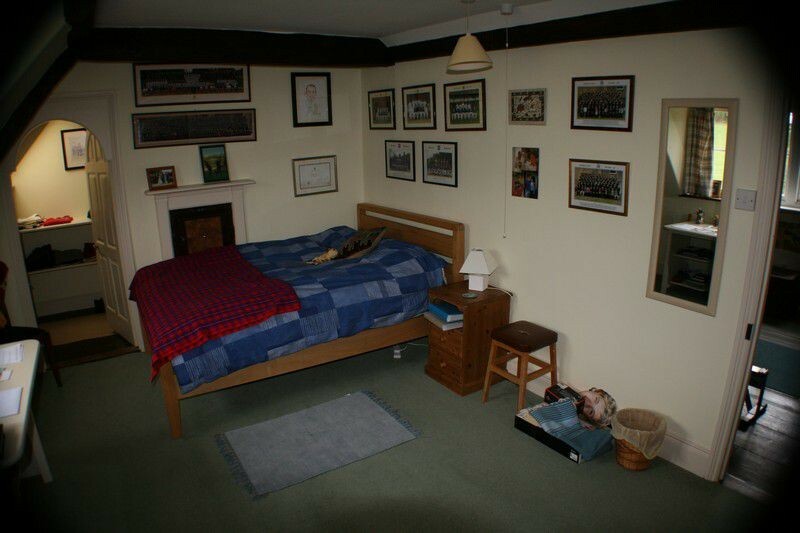 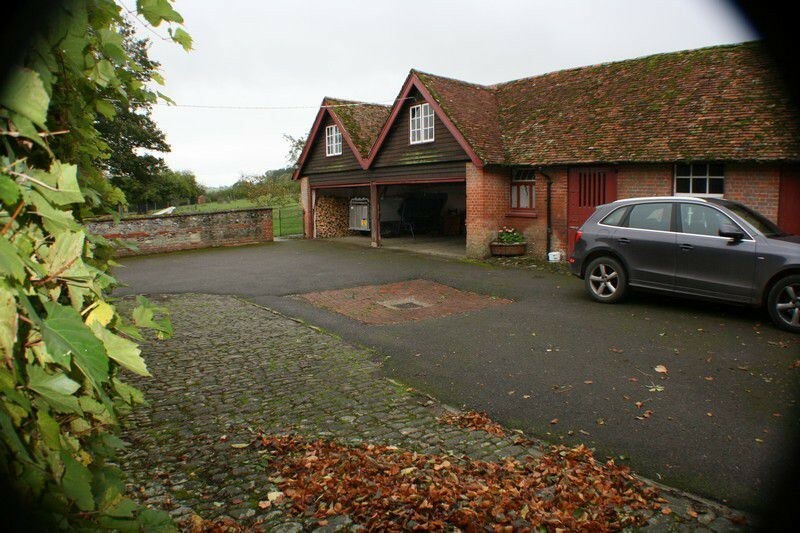 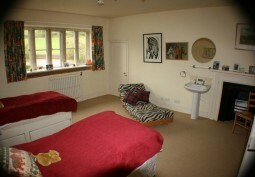 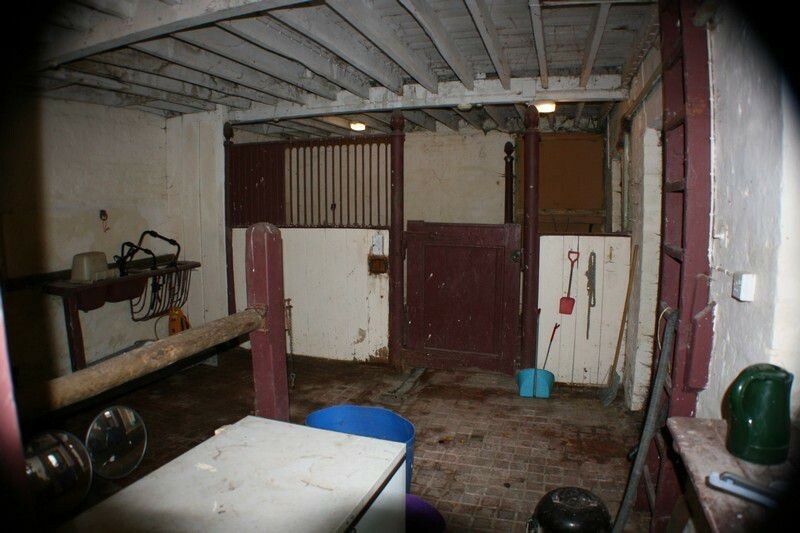 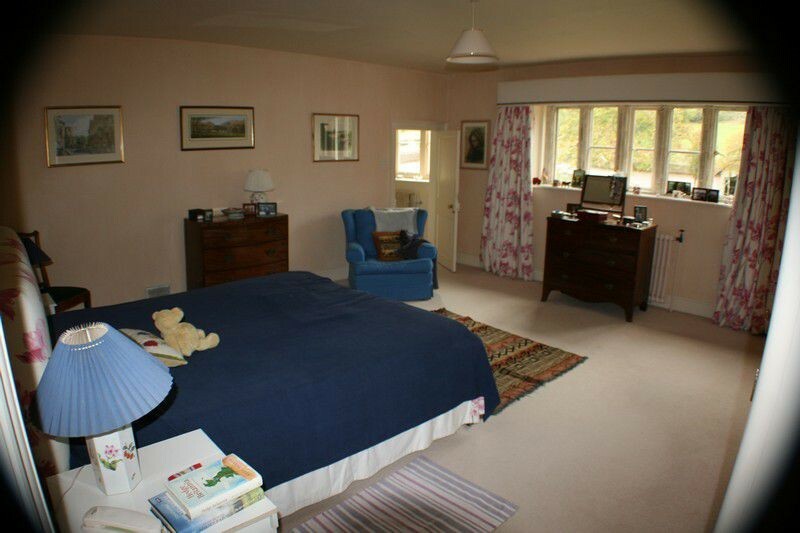 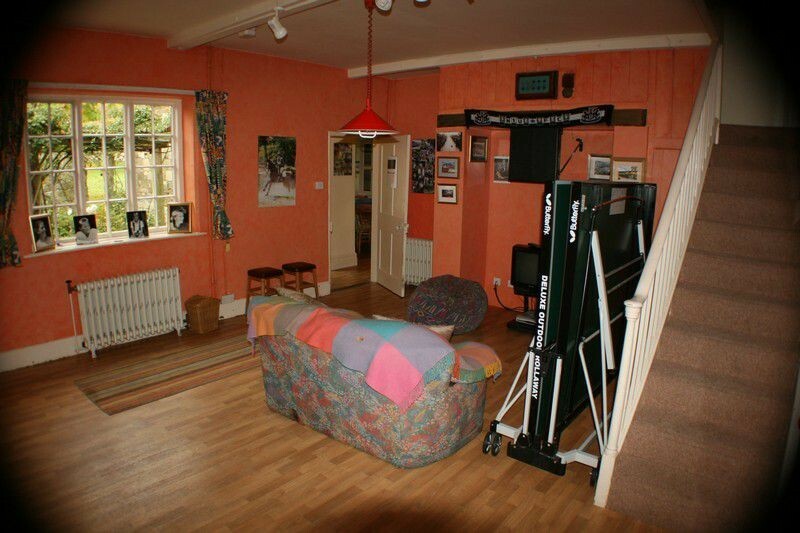 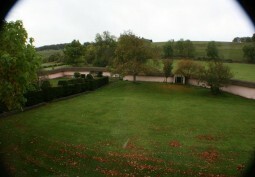 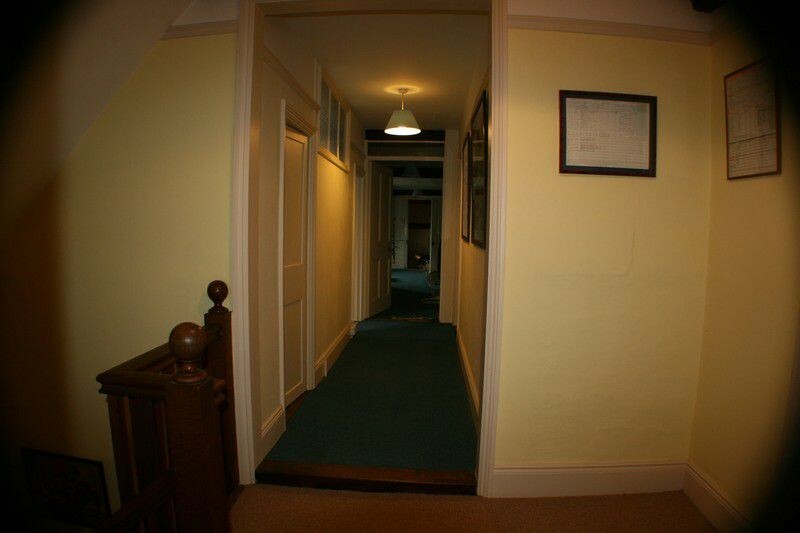 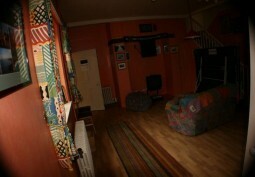 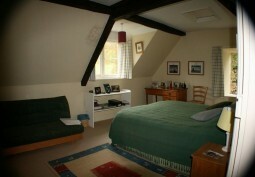 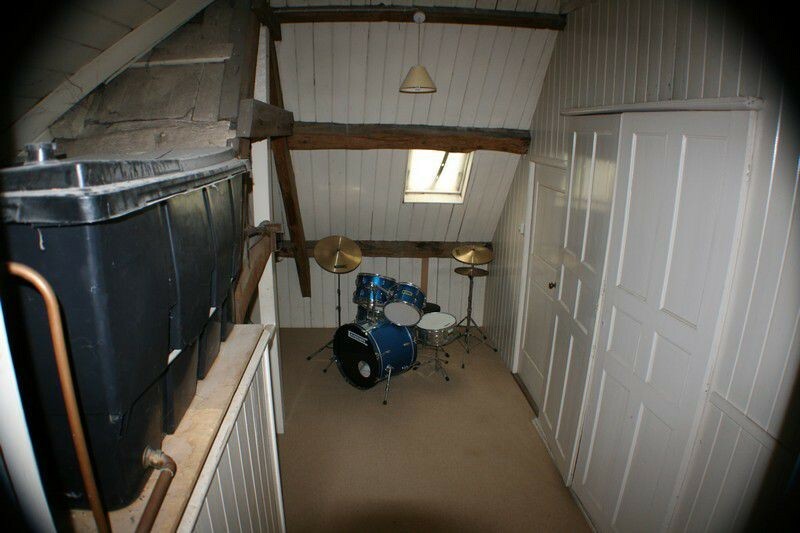 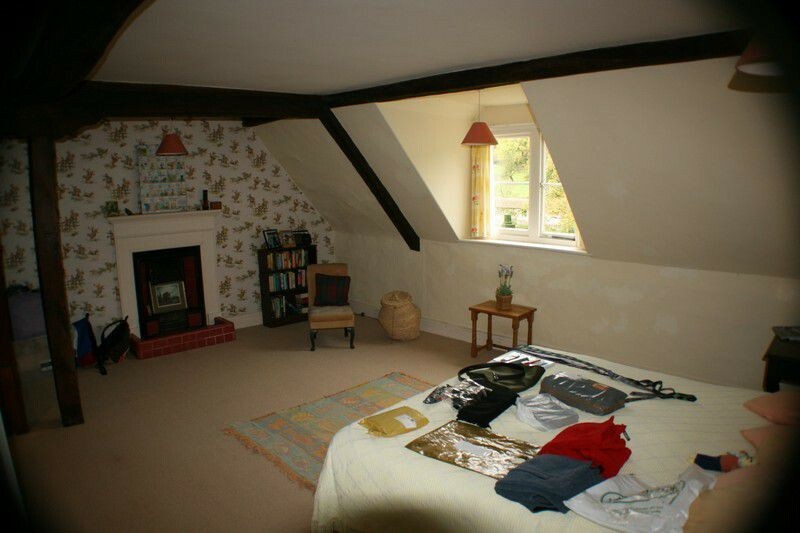 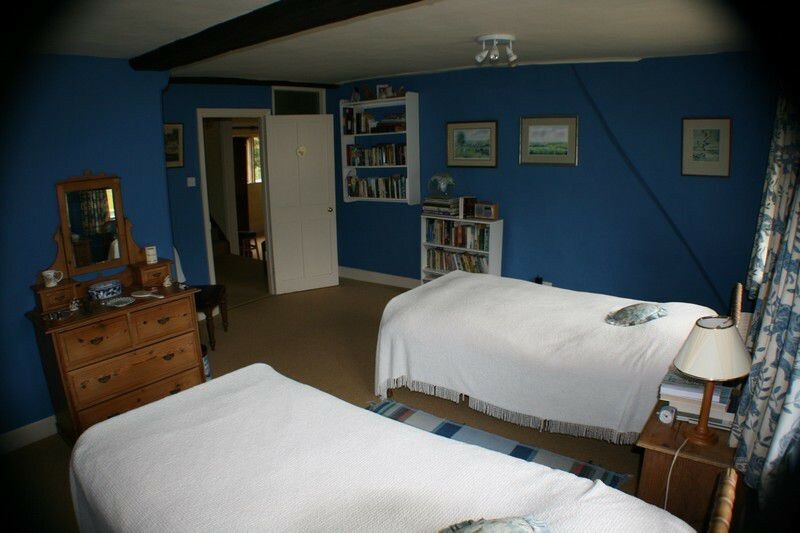 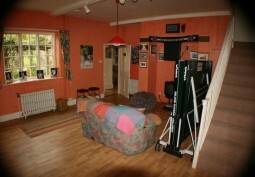 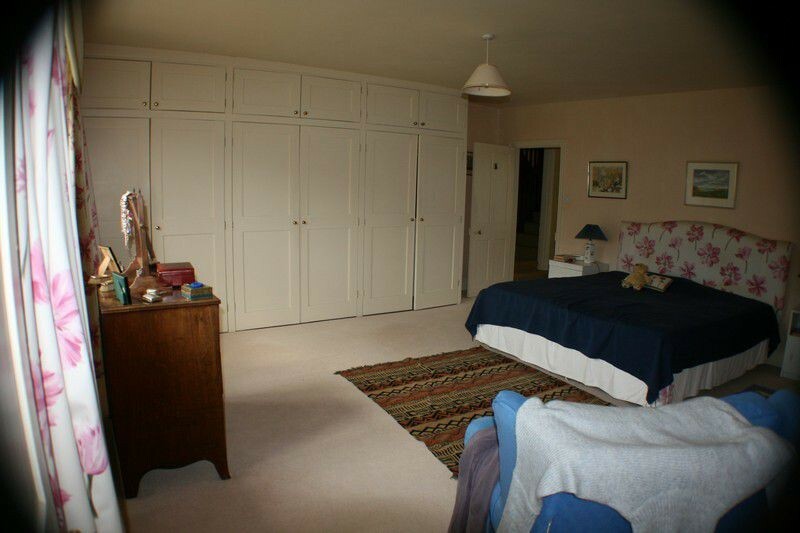 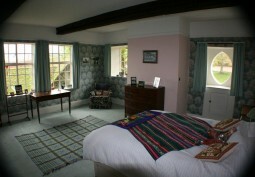 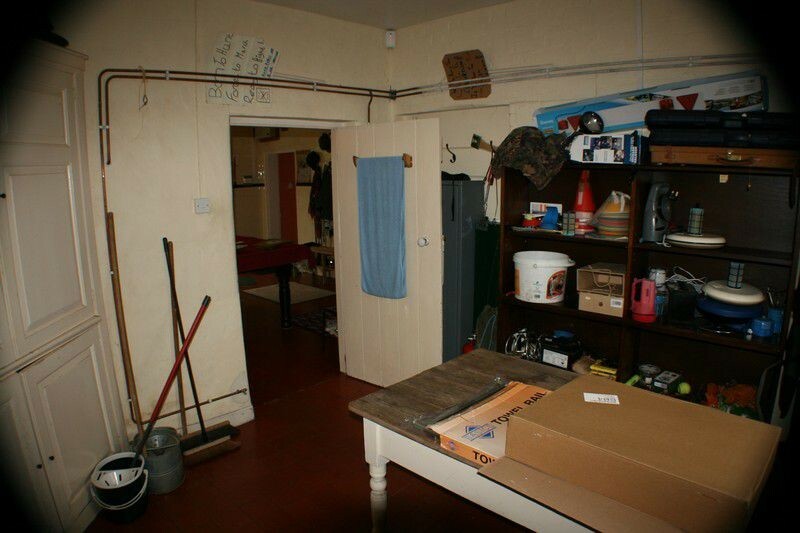 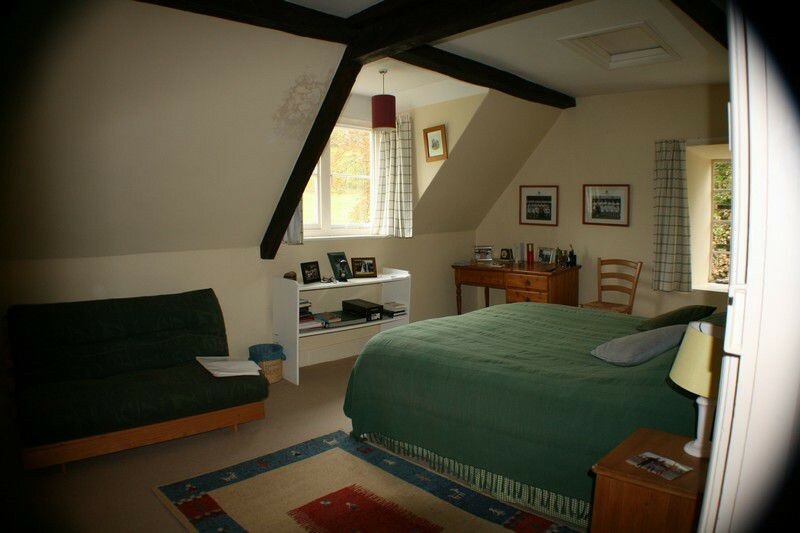 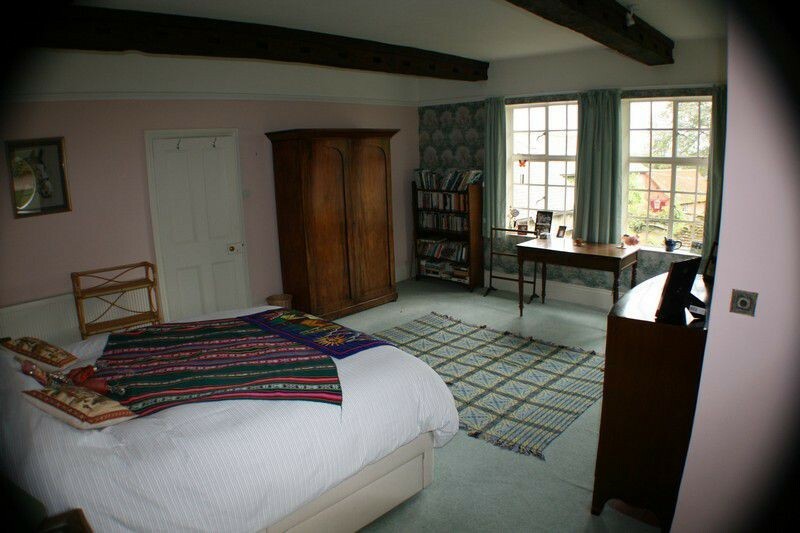 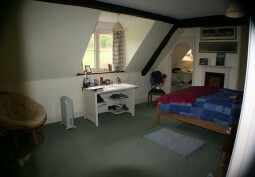 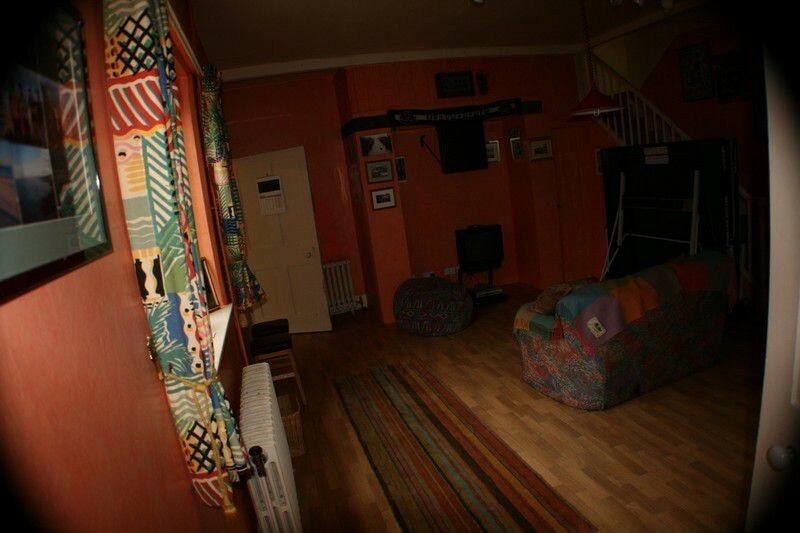 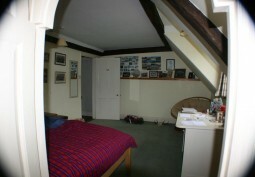 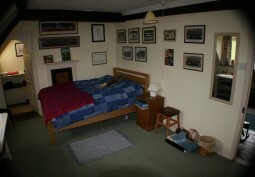 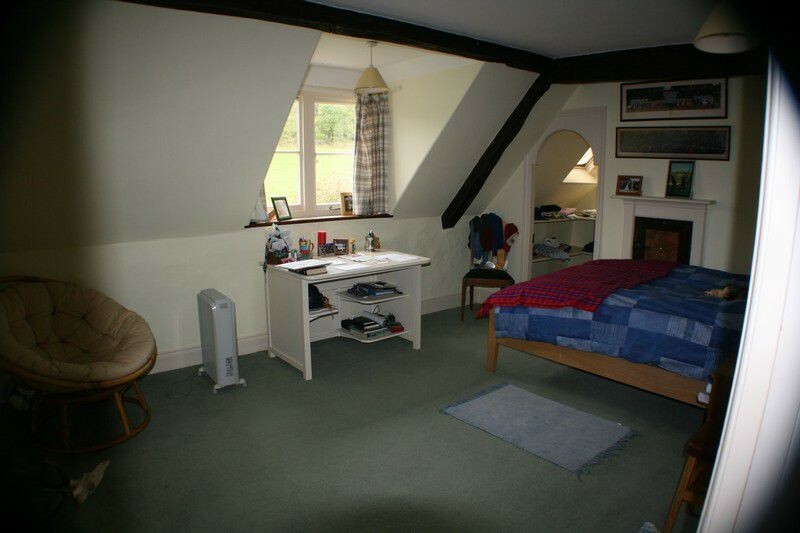 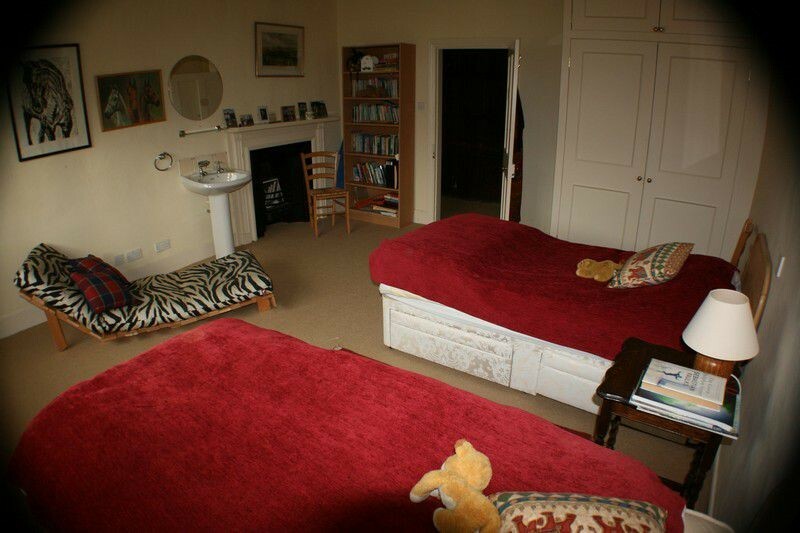 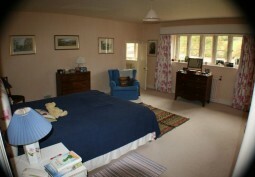 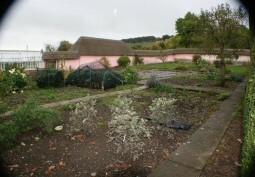 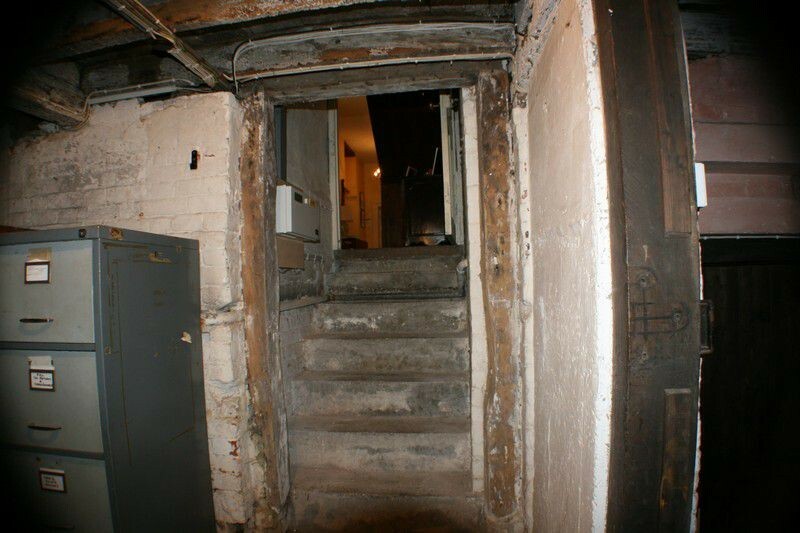 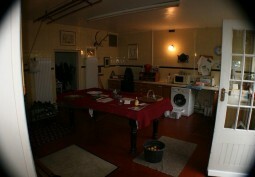 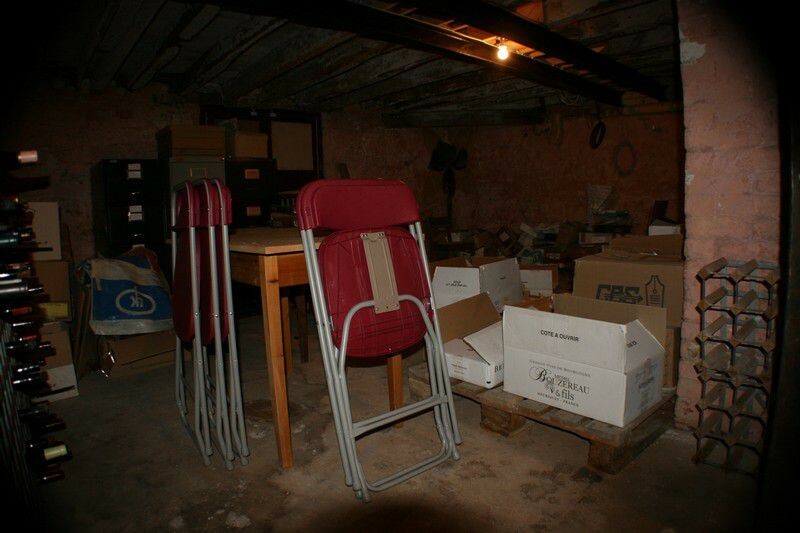 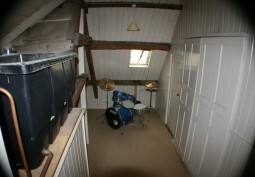 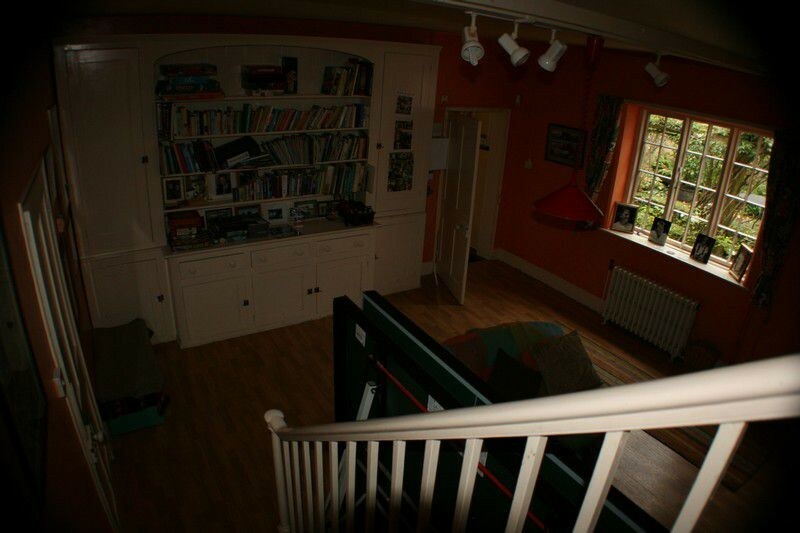 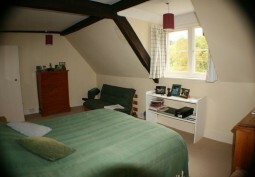 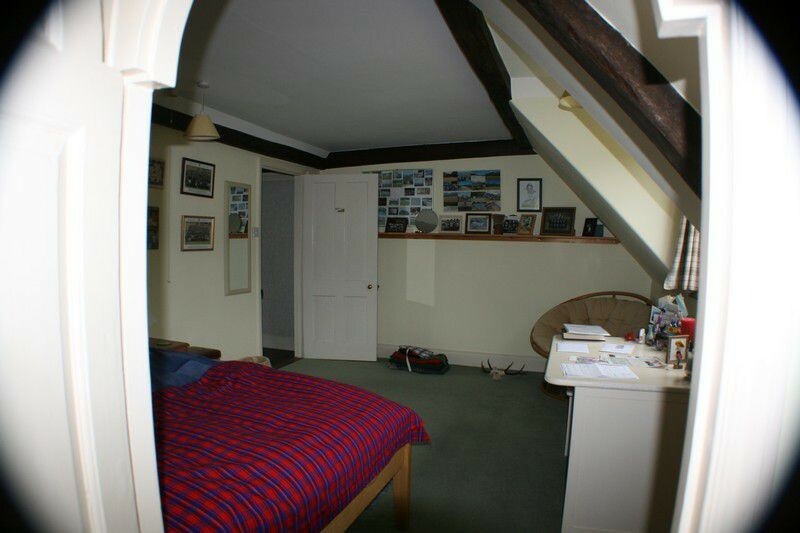 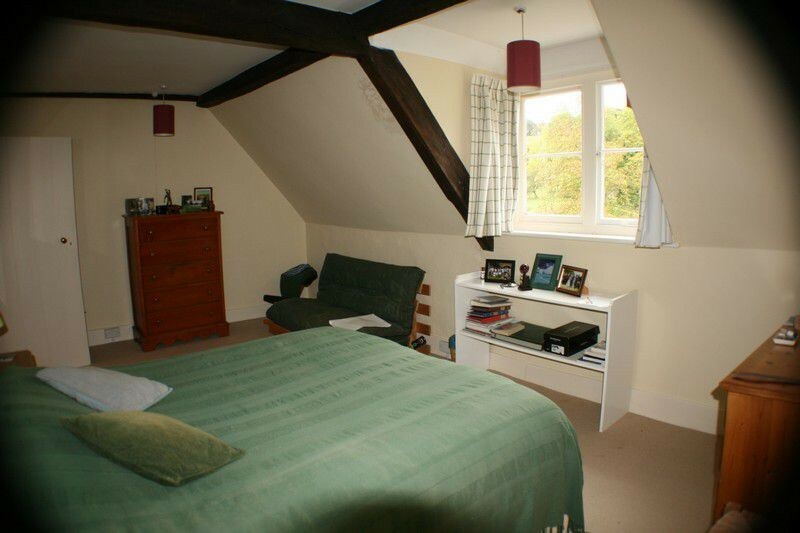 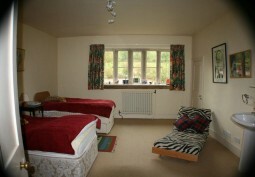 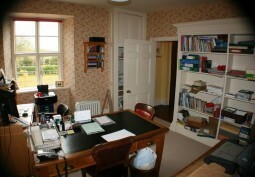 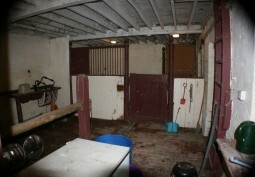 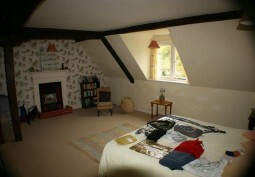 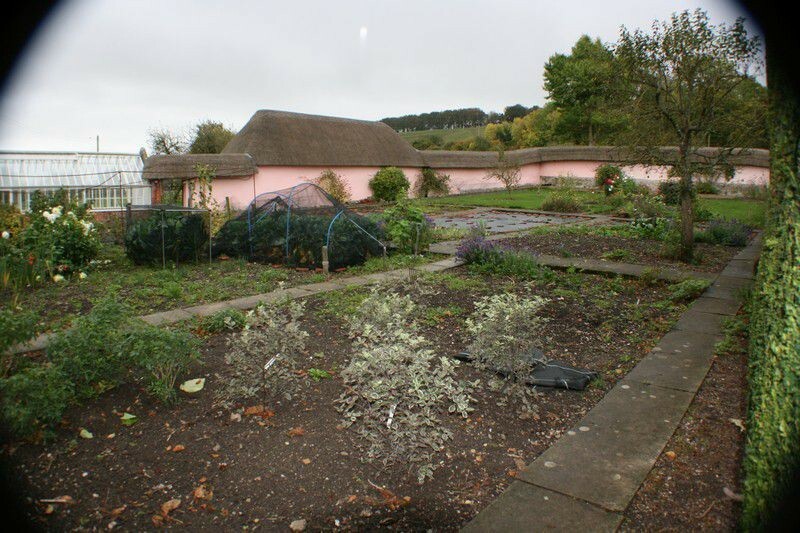 -5 double bedrooms in various syles and two twin rooms.